Middleton Hall is a Grade II listed Manor House dating back to the 13th century & run by an independent charitable trust in the heart of the Warwickshire countryside. This stunning building is steeped in history & lies in 42 acres of peaceful gardens which provides an idyllic setting for your wedding. Middleton Hall is licensed to hold Civil Ceremonies, Civil Partnerships & renewal of vows, thus providing a complete service to perfectly match your requirements, whether it is a wedding for 2 or 100 & everything in between. You will have unlimited access to the grand & historic Great Hall, stunning South Dining Room & Lily Suite & beautiful gardens, woodlands & lakes uninterrupted & exclusively yours for your special day. From Ceremony through to Evening Reception, Middleton Hall provides the perfect place for your wedding day. Another wonderful thing about having your special day at Middleton Hall is that you are supporting a special place of interest & contributing to the upkeep of our beautiful gardens & historic house, a place that thousands of people enjoy visiting each year. We work along with Francis & James Wedding Planners who as your dedicated coordinators will provide a personalised & tailored service from engagement through to waving you goodbye at the end of your wedding day. You can be assured that our experienced wedding team along with our top quality suppliers will be on hand every step of the way to ensure that your wedding is beautiful & unique so that you enjoy every moment leading up to your big day. For further information please download our 2018 Wedding Brochure here, explore our website or contact us to book an appointment with our Wedding Coordinators who will be able to show you around Middleton Hall & its picturesque gardens & talk you through the options for your wedding. 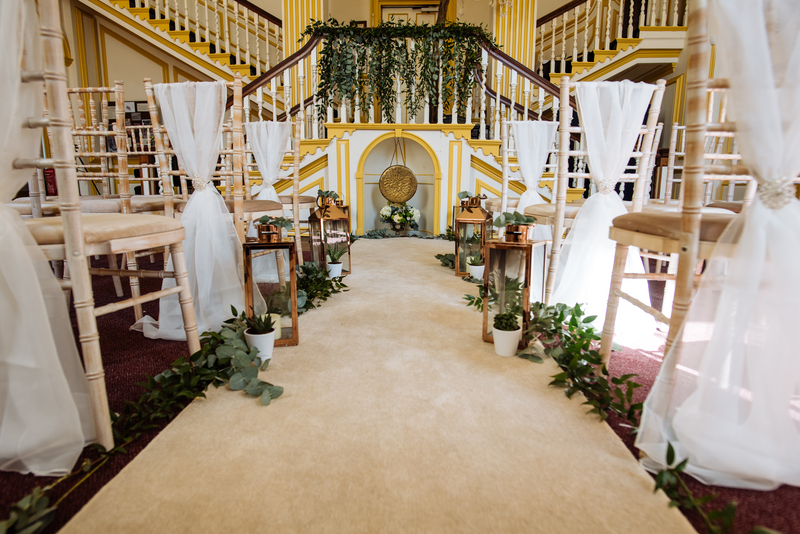 Please be aware that the Registrar Fees to conduct the Civil Ceremony are not included within the prices & must be booked & paid for directly by contacting the Warwickshire County Council Superintendent Registrar at Nuneaton on 02476 375 209.